RevEquip develops native Revit Families for the design community per the Foodservice Consultants Society International's (FCSI) Taskforce for the development of Revit Family Standards. Staffed by Foodservice Consultants our RevEquip technicians understand the processes of document creation for Foodservice based projects. Join the Revitlution! Don’t be left behind! Now is the time to adapt as the building industry learns of the benefits of BIM based project development. Instance Parameters give the user the advantage of being able to control graphic options like casters, door swing, and a variety of customer driven requests. Etc. RevEquip collaborates with design professionals to build 3D Revit symbols and Revit content creation. Contact us today, or browse the website to get a better understanding of the services we provide. Revit Families are truly dynamic in that they are databases that include utility information, clickable parametric graphic options, and flexibly constrained when necessary. When it’s time to put your ideas into practice, count on RevEquip. We are your source for complete Revit document production and support services. Our company is committed to helping engineers, architects, and design professionals get results. By harnessing the power of Revit BIM design tools, our team will expand your capabilities. From concept to creation, we are with you at every step of the process. Thanks to our extensive knowledge and experience with CAD platforms, we have developed a robust skill set that will adapt to your needs. 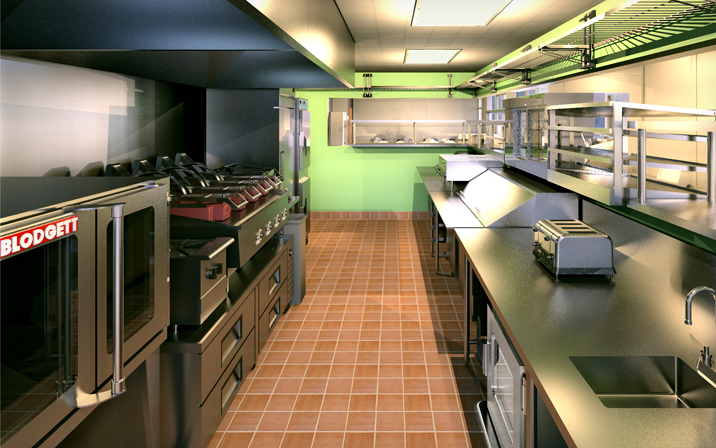 We specialize in creating Revit families and assets for the foodservice industry. Whether you are designing a client’s kitchen or working towards a new product release, we will help you attain your goals. Revit is a comprehensive building information modeling (BIM) suite that is empowering engineers, architects, construction contractors, and designers to create better buildings. With its modularity and versatility, it is no wonder it is growing into a popular computer-assisted design platform. Our company is dedicated to creating Revit families and documents. Strengthen the capabilities of your teams - we’re here to support your mission. We facilitate a completely customizable approach to service. Our designers will work closely with your teams, learn about your goals and challenges, and adapt seamlessly to meet your needs. In turn, you will get results that are on time and within budget. Custom Family Creation: From new appliances to complete kitchen facilities, we’ll help you create Revit families that will streamline your design process. We create assets from the ground up. Our Revit family creation solutions are built according to foodservice industry standards, optimizing your project pipeline. Custom Project Conversion: When making bids, every moment matters. Save time, energy, and resources and let us convert your documents to Revit. Our fully trained and thoroughly experienced teams work hard, allowing for quick turnaround times and effective results. Resources and Training: Is your company making the change to Revit? Learning and implementing a new BIM platform may have its challenges--but therein lies opportunity. Let us help you make the change seamlessly. We offer training programs and resources that will strengthen your personnel. Contact our company to request a consultation for our Revit services. We assist construction, engineering, and design professionals in the foodservice industry.